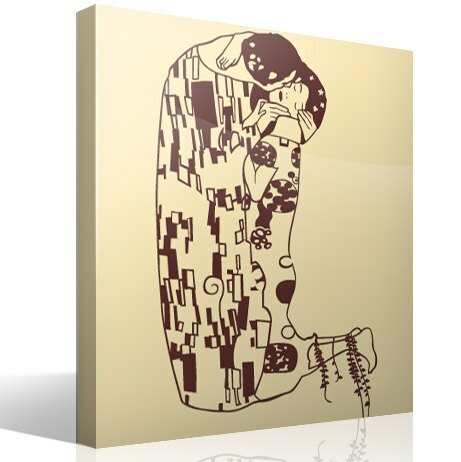 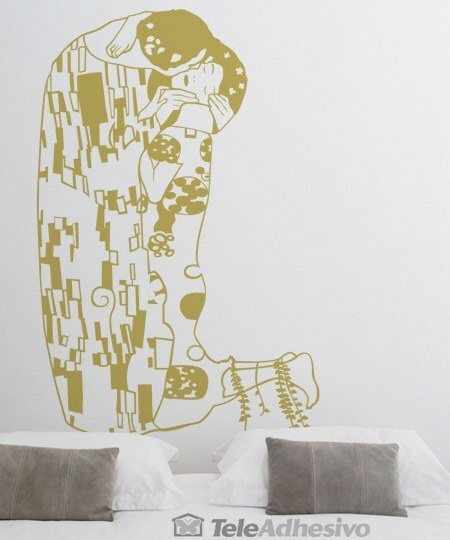 Wall sticker The Kiss (Gustav Klimt). 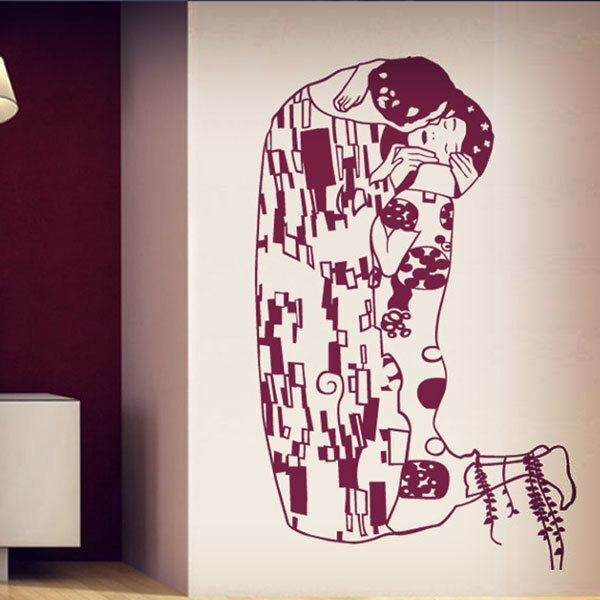 He uses the style of Art Nouveau and the organic forms of the contemporary Arts and Crafts movement. 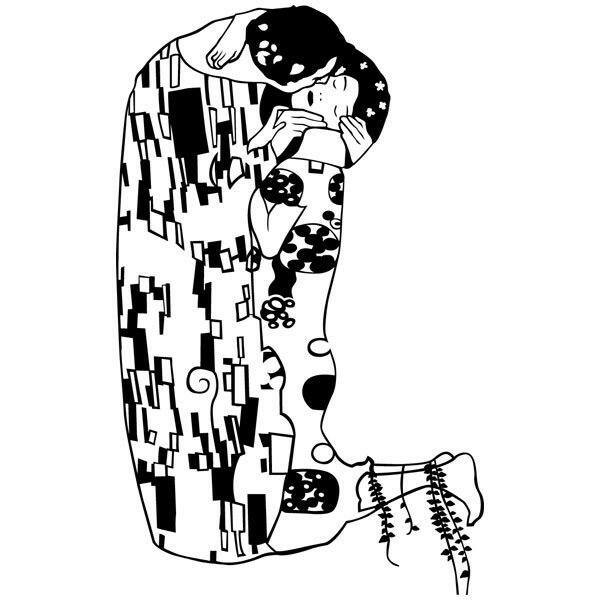 Gustav Klimt represents the couple enclosed in intimacy, while the rest of the painting is dissolved in a shiny background with an extravagant pattern. 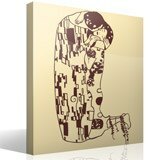 Size: 46 x 74 cm.